This spacious suite prepared for two persons features one king size bed or two full size beds, a fireplace and a living room. Located at strategic points of the hotel, Junior Suites allow you to enjoy the peaceful surroundings and splendid views. 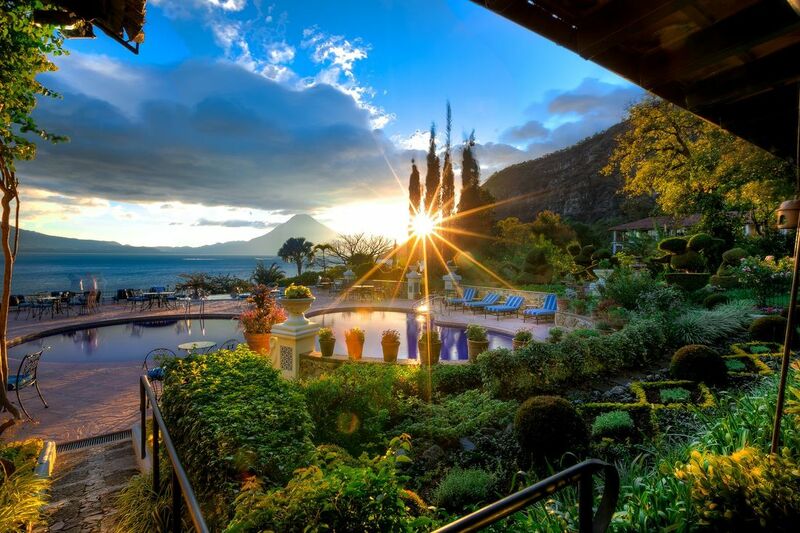 Surrounded by Botanical Gardens, Hotel Atitlán Hotel & Gardens is one of the finest and most charming boutique hotels in Guatemala, situated ten minutes from the main town of Panajachel on what once was the estate of a family-owned coffee plantation. Designed to be a relaxing home away from home for discriminating travellers in search of a truly unique travel experience, it is wonderfully decorated with hand-carved wood furnishings combined with ornate ceramic tiles to reflect the elegant Spanish colonial style of an 18th century Guatemalan plantation. 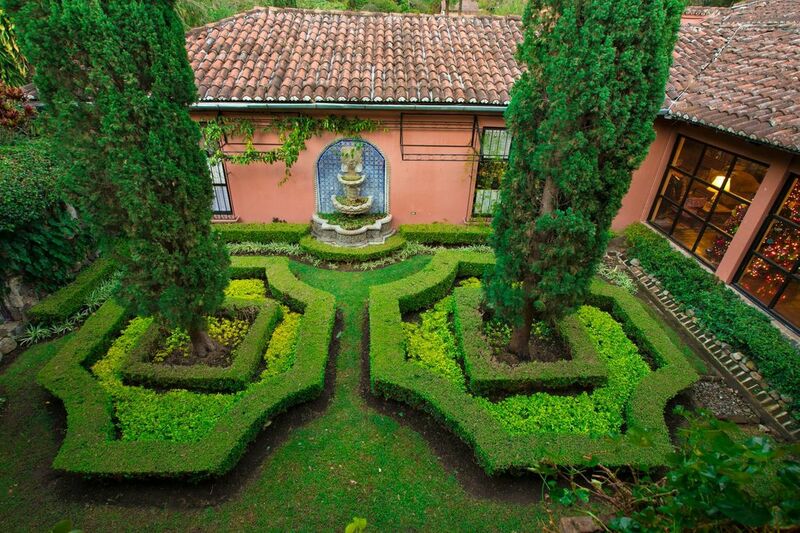 Outside, amidst meticulously cultivated botanical gardens, abundant roses, orchids, bougainvillea and azaleas bloom. ​An infinity pool gazes onto Lake Atitlán and the majestic Atitlán, Toliman and San Pedro volcanoes in the distance. ​We look forward to welcoming you to paradise. From an intimate family affair or formal banquet for up to 500 guests to a business meeting or corporate event, our botanical gardens and the spectacular panoramic views of Lake Atitlán and its volcanoes create unforgettable memories. Overlooking Lake Atitlán and the volcanoes through large bay windows with spectacular views at sunset, the Hotel Atitlán Restaurant and Volcanoes Bar offer casual yet sophisticated settings for enjoying cocktails and the world-class cuisine of our hotel chef. 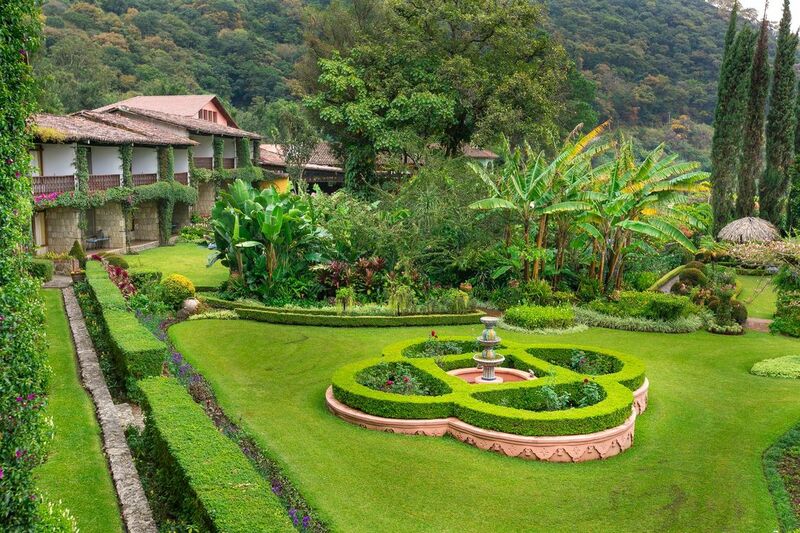 Stunning gardens surround Atitlán Hotel from the terraces to the Lake. Enjoy a relaxing stroll amidst exotic plants and flowers from both Guatemala and around the world – including roses, orchids, bougainvillea and azaleas. Hotel Atitlán Hotel & Gardens is located on the shores of Lake Atitlán in Guatemala. The hotel is one kilometre from the quaint Panajachel town centre, one hour from the world-famous Chichicastenango Market and three hours from Guatemala City.